WASHINGTON — The Pentagon is preparing to spend more than $900 million in fiscal 2018 to identify and fix problems as part of its first-ever financial audit. David Norquist, the Pentagon’s comptroller, said Wednesday that the first steps of the long-awaited Pentagon audit are already underway. The audit itself will cost $367 million in FY18 — covering fees for the independent public accounting firms ($181 million) and infrastructure to support the audits ($186 million). That will help fund the roughly 1,200 auditors who will support the 24 individual audits that make up the overall effort. In addition, Norquist estimated the Defense Department will spend about $551 million to fix problems identified by the auditors, bringing the total to an estimated $918 million. While that’s not cheap, Norquist spent part of his hearing at the House Armed Services Committee defending the upfront cost as necessary to create the baseline for future reforms. “Accurate data helps drive more accurate decision-making,” Norquist said. And those costs could come down easily if the Pentagon decides it can live with the issues identified by the services — although neither Norquist nor the committee members seemed keen on that option. HASC Chairman Mac Thornberry, R-Texas, told reporters after the hearing that while he was not aware of the costs of the audit until recently, it will be money well-spent. A graphic featured in Norquist's testimony, outlining the timeline to complete the Pentagon's audit. The audit has been a focus for Norquist since being confirmed over the summer. 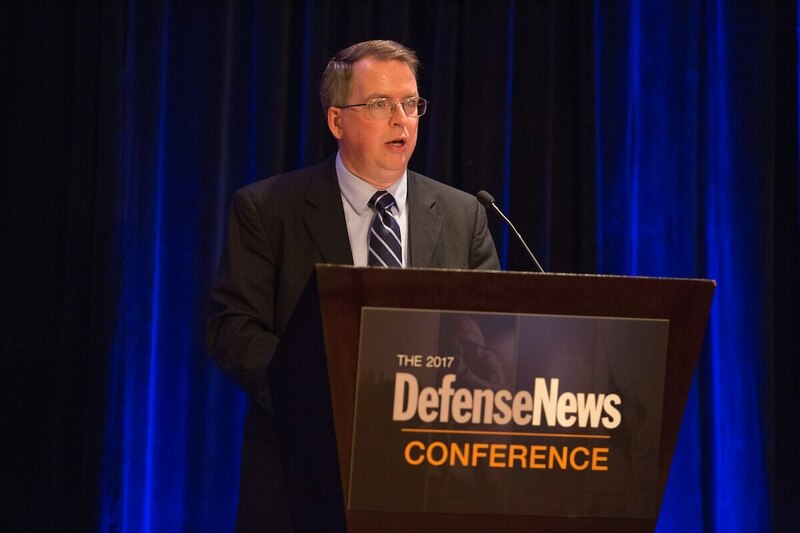 At the Defense News Conference in September, the comptroller said he was “enthusiastic” about the possibilities the audit offered the Pentagon. And in December, he wrote in an op-ed that the audit will lead to “a steady improvement in the accuracy and reliability of our business data,” which will build on itself year after year. It has also received a bipartisan focus on Capitol Hill, which was on full display during Wednesday’s hearing. In his opening comments, Thornberry emphasized that this was the first HASC hearing of 2018, showing the importance of the audit to members. Ranking member Rep. Adam Smith, D-Wash., also shared positive words for the audit and its attempts to fixed a “screwed up” system. When designing the audit, Norquist purposefully laid out a design for 24 individual audits that will flow up to the inspector general’s office, partly to ensure independence from review teams. Under his guidance, no firm can audit an agency if their company does consulting work with them. In other words, if your firm does business with the Army, you can’t audit the Army. Finding a firm to do the Pentagon-wide audit without those conflicts of interest would have been almost impossible; finding several firms to break that work up, however, was entirely doable. In addition, using just one firm to do an audit would lead to what Norquist called a “monopoly” that would, down the road, cost the Pentagon. Accountability is what will drive us — getting the maximum value from every dollar entrusted to us. But auditing the Department of Defense is not a small matter. “We would never, after they learned our business process, be able to find another auditor who could compete. And then I’d be explaining to you why the audit costs went through the ceiling,” he said. And while the focus is on getting the Pentagon’s dollars all accounted for, there are extra benefits to doing the audit, Norquist argued. Those include learning what systems can and cannot talk to each other and figuring out where improvements can come from. “If we’re trying to do acquisition reform and other things, you’ve got to have data. You have to know what you’re doing in order to fix it,” Thornberry agreed. The comptroller also confirmed the audit will cover classified programs and overseas contingency operations funding, but asked for an opportunity to go into greater detail on how that would work in a classified setting.